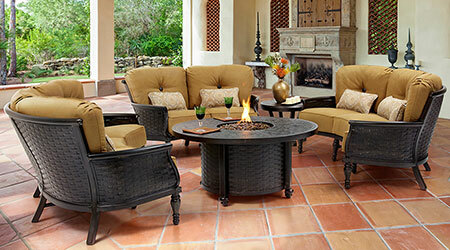 At Patio Land USA, you have come to expect the best selection, the best prices, and the best service from your authorized dealer in Tampa, Florida. We are proud to offer some of the best brands that you are ever going to see, and Gloster® aluminum outdoor patio furniture is no different. Like everything that we sell, we stand behind Gloster® 100 percent for durability and aesthetic appeal. If you would like to know more about the brand or why we recommend it, keep reading on. Gloster® is originally based out of Africa. Here the goal was to design furniture for the local market consumption. 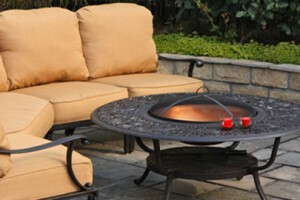 After the manufacturers realized that they had a knack for designing outdoor furniture, they started exporting to Europe. 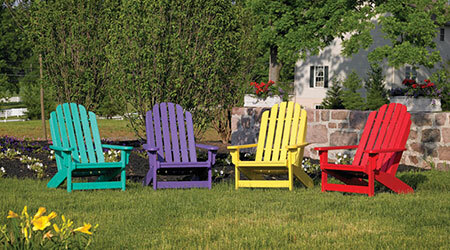 It is now 50 years later and the company has sold more than 10 million pieces of furniture. 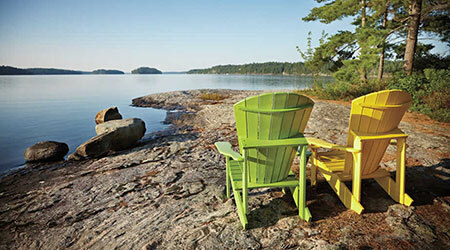 The company remains ethically and environmentally aware, even using tree stumps and discarded branches to make smaller components in their wooden furniture. The reason that the company has developed so rapidly over the years is that they are willing to test every piece of furniture to international standards, guaranteeing unparalleled quality and exceptional design. While Gloster® may have started with teakwood, the quality of the Gloster® aluminum outdoor patio furniture line would never even hint at that factoid. 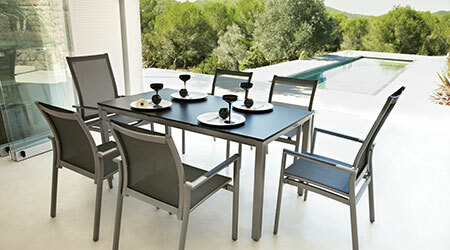 In fact, with a number of different design styles, you will not only find a stylish option amongst the Gloster® aluminum outdoor patio furniture line to suit your outdoor needs, but you will also find a piece of furniture that is going to last, even in some harsher conditions. There are plenty of options to choose from in the collection as well. From the AZORE option that uses modern materials, soft textures, soft curves, and sharp angles, to the NOMAD DINING collection that really brings out the café vibe with its color and seat options. 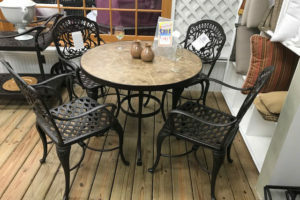 If you are going to spend your money on stylish, quality patio furniture, you want to make sure that it lasts a long time. 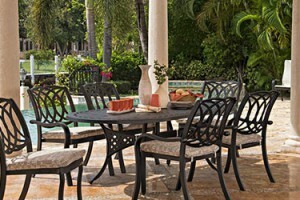 With the Gloster® aluminum outdoor patio furniture line, you can be sure that you are not just buying furniture, you are investing in it. 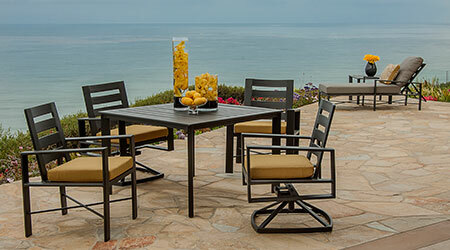 With a number of different options that are guaranteed to match your current design, chances are that you will love what the Gloster® aluminum outdoor patio furniture line is able to offer you.